"I believe we can change the world. But first, we've got to stop living in fear of being judged for who we are." Rachel Hollis has seen it too often: women not living into their full potential. They feel a tugging on their hearts for something more, but they're afraid of embarrassment, of falling short of perfection, of not being enough. 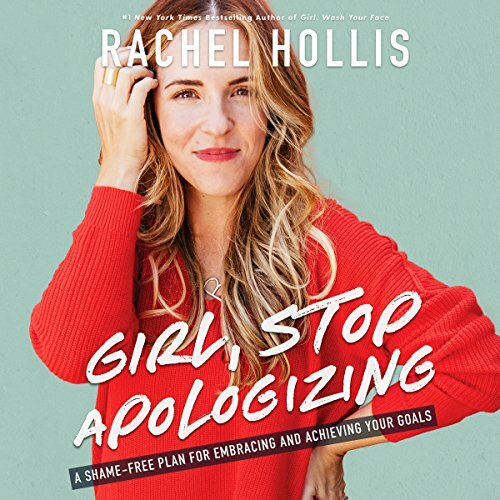 In Girl, Stop Apologizing, number-one New York Times best-selling author and founder of a multimillion-dollar media company, Rachel Hollis sounds a wake-up call. She knows that many women have been taught to define themselves in light of other people - whether as wife, mother, daughter, or employee - instead of learning how to own who they are and what they want. With a challenge to women everywhere to stop talking themselves out of their dreams, Hollis identifies the excuses to let go of, the behaviors to adopt, and the skills to acquire on the path to growth, confidence, and believing in yourself.